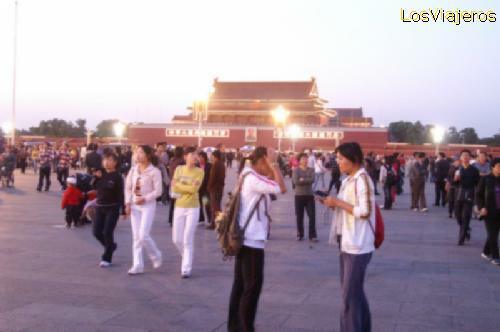 Tiananmen Square - China: After arriving at our hotel first visit it will be the famous square that you/they cheer up especially when falling the afternoon. It is a wide space designed for the outdoors acts. Mongolia Interior vista desde el avión - China Inner Mongolia, - China "Index"